Last Saturday London and I were stargazing up on Mount Baldy. I knew the waning gibbous moon was going to rise a little before 8:00. What I had not anticipated is how awesome it would look, coming up through the trees on the next ridge over, a mile or so away. And because I had not anticipated that, I didn’t have the camera with me. 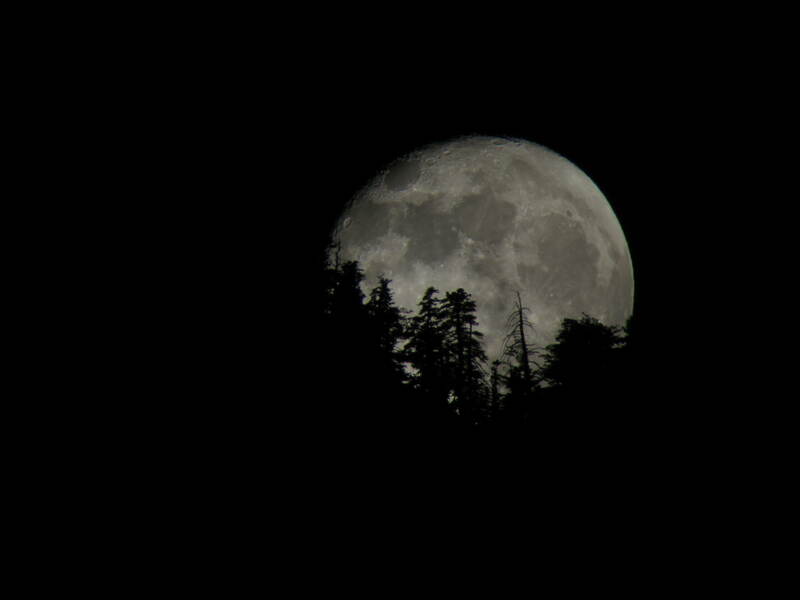 So, nothing for it: we had to go back up the mountain Sunday night, with the camera this time, just to catch the moonrise. Up top is the tweaked and left-right corrected version, below is the raw image. 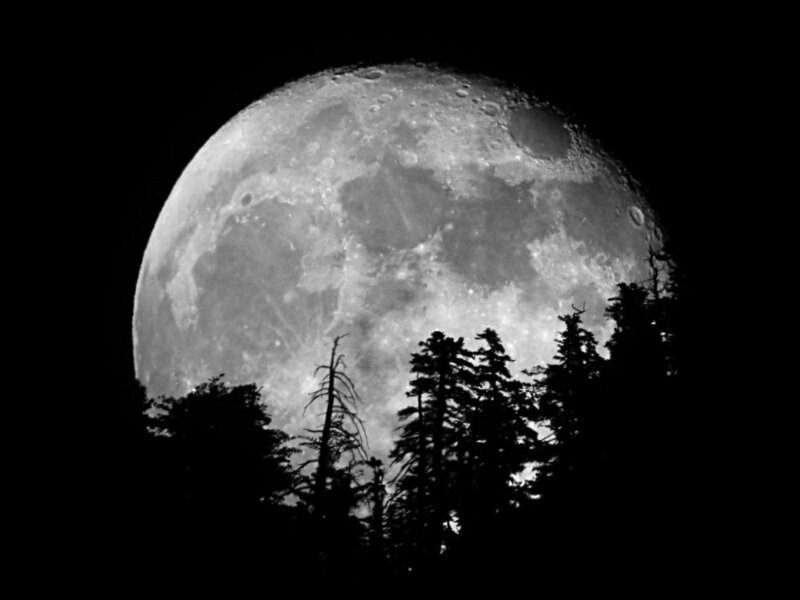 Next month I want to go back and catch the full moon rising. I’ll keep you posted. Congratulations — your best image yet. Stunning image. Dramatic. Convert it to black and white, high contrast, and it would look like something from the Ansel Adams catalog. I am a planetary scientist at the Lunar and Planetary Institute in Houston, TX, and I’m very interested in using your beautiful photo “Mount Baldy Moonrise” in a project I’m working on. Please contact me directly before the end of August, 2014 for more specifics if you’re interested! Thanks for the kind words. I am interested–can you please give me more information on how best to contact you? Feel free to email me at mathew.wedel@gmail.com.